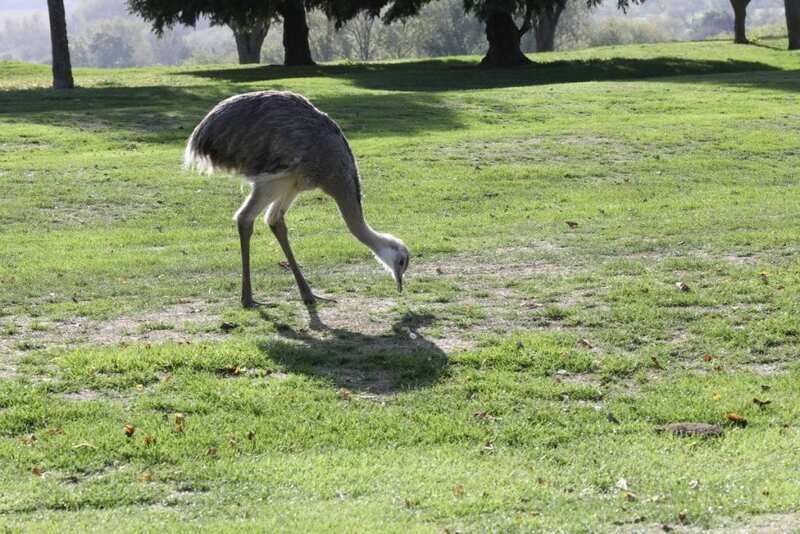 Stunned golfers were forced to deal with a different type of birdie – after a runaway RHEA started running amok on a course. 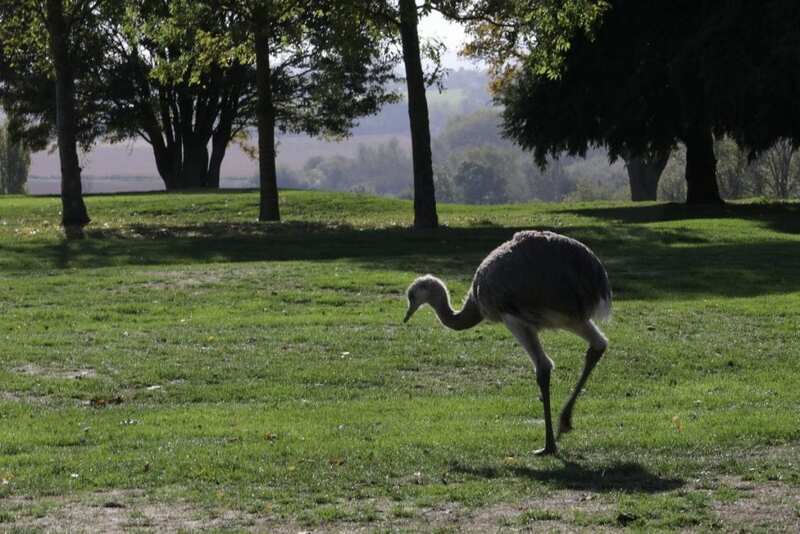 The giant 6ft flightless bird, which is related to an ostrich, has been spotted roaming the greens and fairways at Evesham Golf Club, in Worcestershire. Staff said the escaped bird, nicknamed Linford after athlete Linford Christie, appeared in its grounds last weekend – but nobody has been able to catch it. The large animal went on the loose after escaping from its enclosure in the nearby village of Harvington around 12 days ago. Rheas, which originate from South America and can reach running speeds of up to 40mph (64 km/h), are said to be capable of disembowelling a man with its six inch claws. But staff at the golf club have said Linford is relaxed around people and has been “enjoying all the fruits that the course has to offer”. 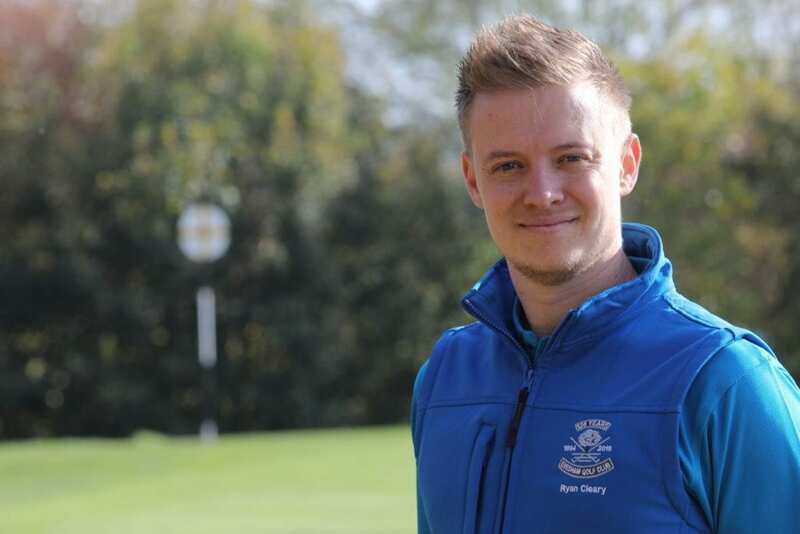 Ryan Cleary, assistant professional at the club, said: “He is not causing any problems, we are all quite happy to let him stay here, he just wonders around all the golfers. “He is very relaxed. We were trying to chase it in a buggy yesterday, so we couldn’t keep up with it on foot. “As you can imagine that is quite a quick bird. The golfers seem to enjoy seeing him. Its not something you usually see during a round of golf. “We’ve not had any concerns that he is dangerous. You can get quite close to him and he’s fine about you being there. He added: “We believe the police had him and by the sounds of it, they chucked it into a secure field and this is the secure field. “We did some research online to see what they eat and he seems quite happy eating grubs, bits of brush, berries and worms, there is plenty of that around. “The owner came over the other day but said he seemed pretty content so I think he’ll be staying here for a bit longer. “If he was showing signs of being a nuisance or aggressive then she said she might have to tranquillise or shoot him – but he is not causing any harm at all. 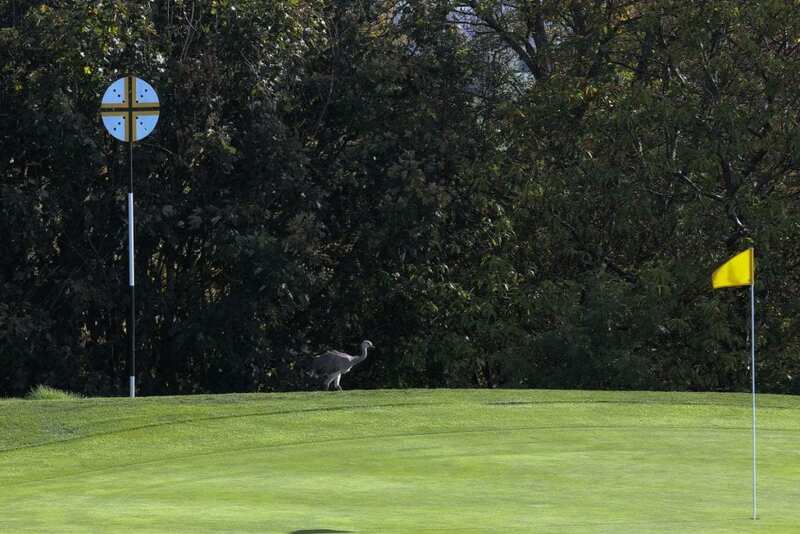 Golfer Mac Harris, 62, of Evesham, said: “I thought it was an emu when I saw it, it was a bit of a shock.